Great photos! And great look! Pretty photos! Lovely colours you used. These photos are all so pretty! Great photos, I love the mood of it altogether. So romantic. I love instagram, all your photos are so beautiful. Pretty shorts too. So cute pictures ! love that mood. these pics are so amazing dear! You have some cute photos! Fine! the blog and your publications is pleasant! 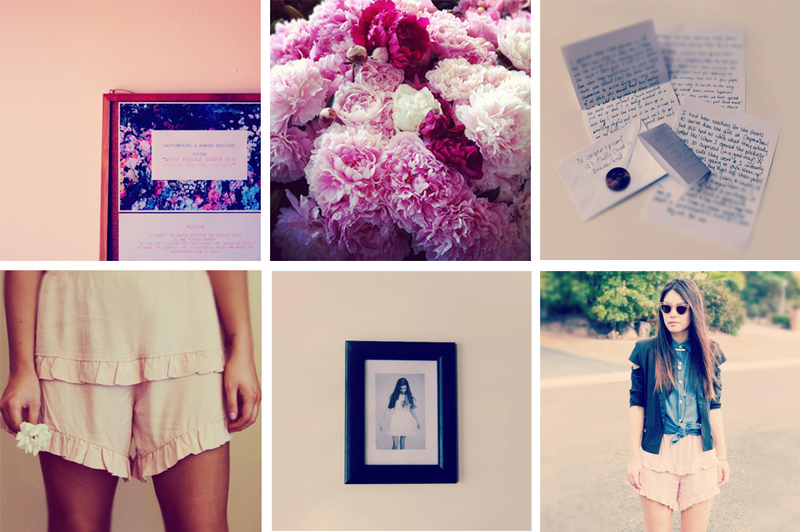 Beautiful pictures, love those pink shorts!! awesome images! I love Instagram!! I fell in love with your blog, it is beautiful, that you have good taste, thank you for your visit, if you can follow me also be very happy!!!! Lovely pictures! Thank you for the lovely comment on my blog! I would love to follow each other! I am following you now, follow back! Thank you! I follow you on gfc and bloglovin #136. Waiting for you to follow back on both! Let me know! Thank you for comment! Very nice pic.! I'm following you via GFC, bloglovin and twitter! love this! so cute! great blog too girl, can't wait to read more! The photos on your blog are all creative and beautiful! your instagrams are so cute! i adore the last one the most of your outfit! Beautiful! Simply beautiful! Thanks for the blog visit girlies! This is my first time visiting your blog, or even hearing about your brand, and I'm so happy to have found you! Your work is beautiful, along with your hearts <3. I am now following =). Just a heads up that I am having a giveaway on my blog this week if you'd like to join in! Thanks for visiting my blog.. Following you now! :) Kisses!! Sweet pics ❤ I'm following your instagram now! Thank you so much, what a huge compliment! And I'd love to wear casper&pearl! An unknown brand to me, but I checked it and I totally love the clothing, and this blog! Love these monthly instagram posts! Following you on Bloglovin! i love your blog, and i think i'm gonna love your instagram too! I really love this pics ! You take the prettiest pictures. These are amazing! Would be such a great colour inspiration for a mood board. Beautiful pics! I really like your blog! I will have to follow you. Thanks for visiting my blog, love yours too. Lots of love for you. The pictures are so magic. Always love seeing your instagram photos! I follow you now with GFC, hope you do the same! Absolutely incredible and visually stunning blog! I am your newest follower! beautiful pics! I love how you always seem to have fresh flowers! hope the last few weeks of 2012 are amazing! these for the comment, your blog is beautiful! Thank you so much honey!! Aw I love these photos, so cute!! i like your photos :) i like your blog !!! wow wonderful pics girls ! lovely clothes! thanks for the comment. SO nice post! Great pictures. Swooning over every little instagram moment!! Leave me a comment and I'll follow you back! Your blog is so inspiring, I'm following you now! WOW i love your blog! just stumbled across it and fell in love! going to follow! The flowers are very pretty! In love with your blog! everything is perfection! Thanks for stopping by my blog =) following you now! Aww..I like your instagram pictures a lot. hey, thanks a lot for your comment. Lovely pics, the flowers are really nice, the colours are amazing. Will you keep your instagram account now that they will start selling people images for advertising? (I am shocked with the news). Have a lovely Xmas. Have a nice week and thank you for visit. loving the pinkness and flowers, makes me excited for spring time, and new spring fashion. The whole feel is just very lovely.